In recent years, film has been one of the major genres within which the imaginaries involved in mapping the geopolitical world have been represented and reflected upon. In this book, one of America's foremost theorists of culture and politics treats those aspects of the "geopolitical aesthetic" that must be addressed in light of both the post cold war and post 9/11 world and contemporary film theory and philosophy. 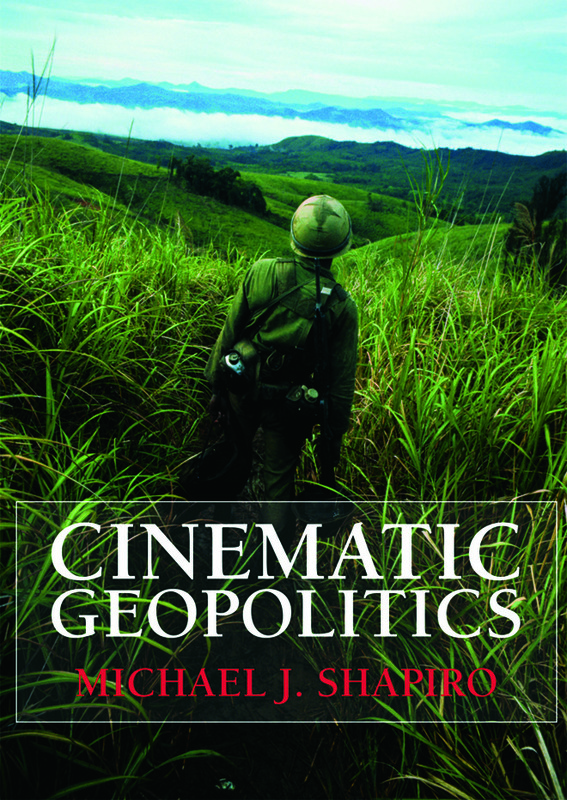 Beginning with an account of his experience as a juror at film festival’s, Michael J. Shapiro’s Cinematic Geopolitics analyzes the ways in which film festival space and both feature and documentary films function as counter-spaces to the contemporary "violent cartography" occasioned by governmental policy, especially the current "war on terror." Influenced by the cinema-philosophy relationship developed by Gilles Deleuze and the politics of aesthetics thinking of Jacques Ranciere, the book’s chapters examines a range of films from established classics like the Deer Hunter and the Battle of Algiers to contemporary films such as Dirty Pretty Things and the Fog of War. Shapiro’s use of philosophical and theoretical works makes this cutting edge examination of film and politics essential reading for all students and scholars with an interest in film and politics.